feel a little happier, a little more alive to life. You've been that someone to me. a lot of things - including myself. So thanks for being the wonderful person you are. and grateful to know you. 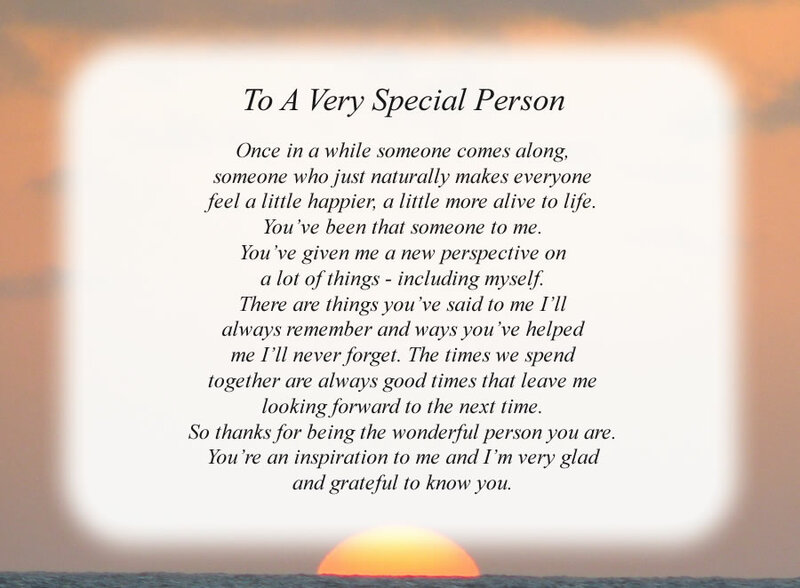 The poem, To A Very Special Person, is free and printable by opening or downloading using one of the three links below.